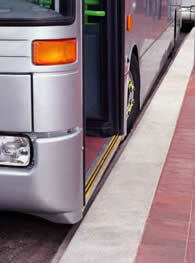 The unique Kassel Kerb provides the ultimate solution for kerbing at low-floor vehicle stops. Kassel Kerb forms a seamless, gap-free join between low-floor vehicles and stops, providing faster and easier passenger access and more efficient and accessible transport services. 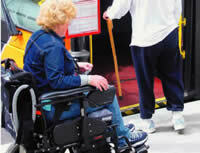 for the disabled and visually impaired. for bus and coach operators. from climbing or damaging the kerb. Produced to the same high access points for buses and coaches. more in keeping than concrete.